At Sporting Chance, we cater for children aged 4 - 12 years of age through our Breakfast Clubs, After School Clubs, the Saturday Sports Club, and our Holiday Sports Camps. We offer an extra-curricular service that is safe and secure, with professional and inspiring coaches. We provide a wide variety of sports and activities that will keep your children entertained, learning through skills based games, and making new friends, all for an affordable price! My 9 yr old and 5 yr old absolutely LOVED the holiday camp. they really enjoyed the opportunity to play and run round with other kids ...... they had loads of fun. Perfect holiday childcare option..... lots of fresh air fun and if the weather isn't so great they have the hall in the school to keep them on the go. My son asked to go to Sports Camp after reading the leaflet from school, his friends had also been and said how good it was. He was a bit nervous about going but came out asking to go the next day when we collected him, so glad I took leave to spend time with him! He had two fantastic days and really enjoyed the range of sports he could try. I now have a list of new sports equipment he would like to have at home! 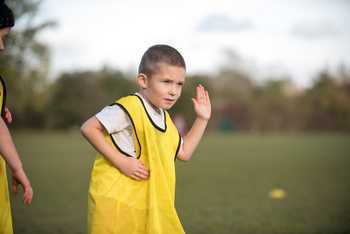 My son has been to a few of your holiday sports camps, including this week's Football Frenzy! He had a great day, learned a lot and had loads of fun. Definitely recommend! This is a fantastic club !!! Spencer who runs the club offers the children such an amazing opportunity for trying out a wide range of sports. My son has been going for the last 2/3 months and absolutely loves each session. I can't rate it high enough. 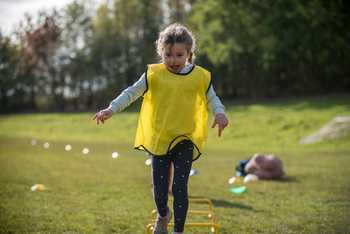 It's brilliant for getting children active.